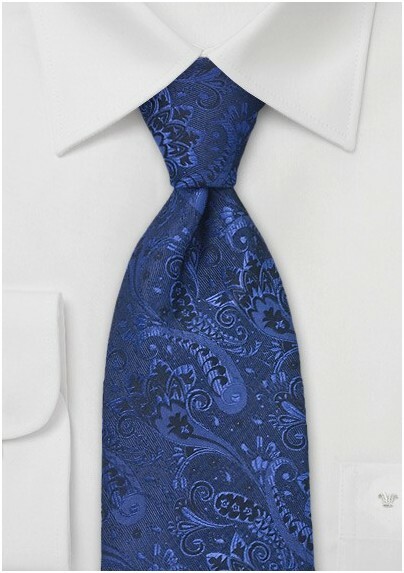 Embrace fine luxury and stylized sophistication with this exquisitely designed paisley motif necktie. The saturated tones of dark pacific blue and black resonate with a versatile elegance. 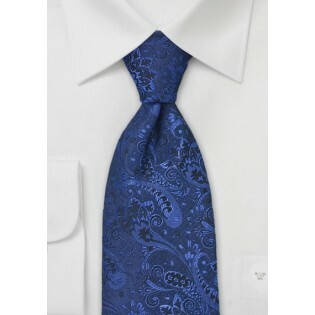 Coordinate this dark toned tie with a point collar white dress shirt and a two button suit in midnight blue wool flannel. The Chevalier Design Label designed this tie in an assortment of colorways. Made from a premium silk with a top notch shine and sheen.